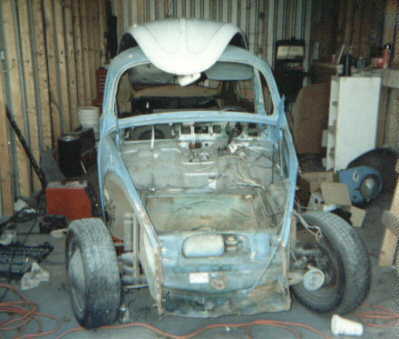 This is Lufka Jason's current Beetle in a disassembled state. It's a 65 T-1 that had a lot of body problems that he is currently restoring. 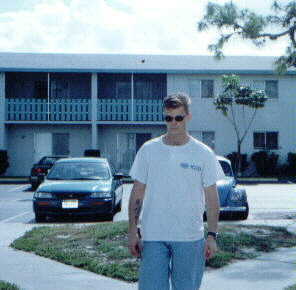 I was born and raised in South West Florida, US and aside from 4 years in the military, have spent my whole life here. Because VW's are so popular here, I've gotten to spend a lot of time around them. After getting out of the service, I moved back down here and started working on my own cars. Then as I met more people, I began to work on their VW's as well. Now I pretty much do only restorations for myself and then sell them. To make sure I have enough money to feed myself, I work at a Volkswagen machine/parts shop. I have a special place in my heart for the people's car, and I like to share experiences and happenings with other people with the same affliction. I can only hope that this never changes. Jason included a Link to the "Arte & Fusca - The VW Beetle and the Pop Art" Site in his Site, thus allowing the divulgation of the QUEST to more people around the world, helping a lot to proceed with the work!